Come join the fun! 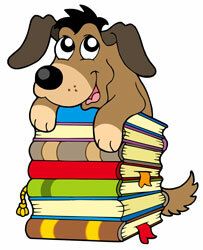 Elementary school-age readers are invited to read to a certified listening dog. The dogs are great listeners and provide an inviting environment for children to practice their reading skills. Children sign up for a 15-minute session when they arrive at the library. They may select a book from our collection or bring one from home or school.